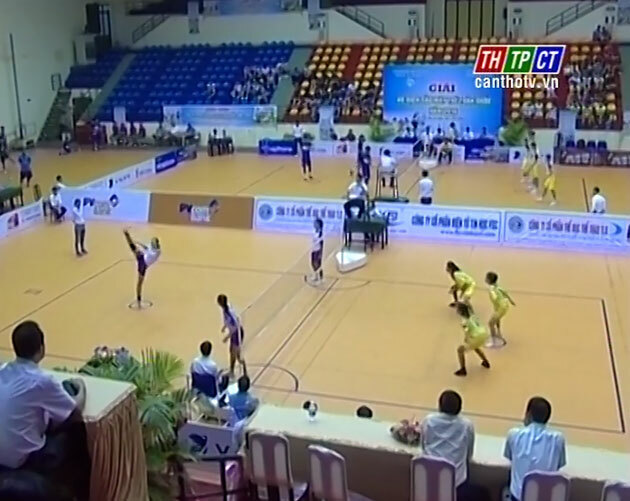 In the evening on July 15th, at Cần Thơ Multipurpose competition House, Department of Culture Sports and Tourism cooperates with Department of Sports Gym – Ministry of Culture Sports and Tourism to open the national young Sepak Takraw Championship 2016. 190 athletes, male and female from 14 units of provinces, cities, sectors in nationwide take part in the competition by 2 groups of age: under 16 and from 17 to 20 in 4 contents. Yearly the National Young Sepak Takraw Championship opens in order to evaluate movement of this game and quality of training athletes in localities, create young athletes to get experiences in competition, improve profession. Also occasion for Việt Nam Sepak Takraw Federation selects talent athletes for national team in international championships in the future. The National Young Sepak Takraw Championship will close on July 25th./.